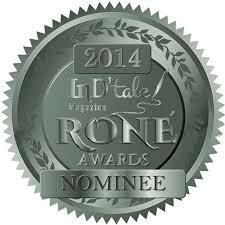 For those of you who are unfamiliar with this award, RONE stands for Reward of Novel Excellence in the Indie Book Publishing Industry. The first round of nominations happen when InD’Tale Magazine reviews an author’s book and gives it a rating of 4 stars or higher (Time’s Tempest received 4.5 stars). The second round of nominations is based on the book’s fans – anyone who has read the book is invited to subscribe to the magazine for FREE and then place a vote during the week that particular genre is being reviewed. Last year’s badge given out after the final judging. My week for Fantasy/Sci-Fi is May 11th – 15th, 2015. The third and final round take the top books from the fan round in each category and brings them to a group of independent judges for ranking of the top 3.